Camp comfortably close to nature at Lits Camping. We are easy to find just off route E45 – but still with some distance to the traffic. 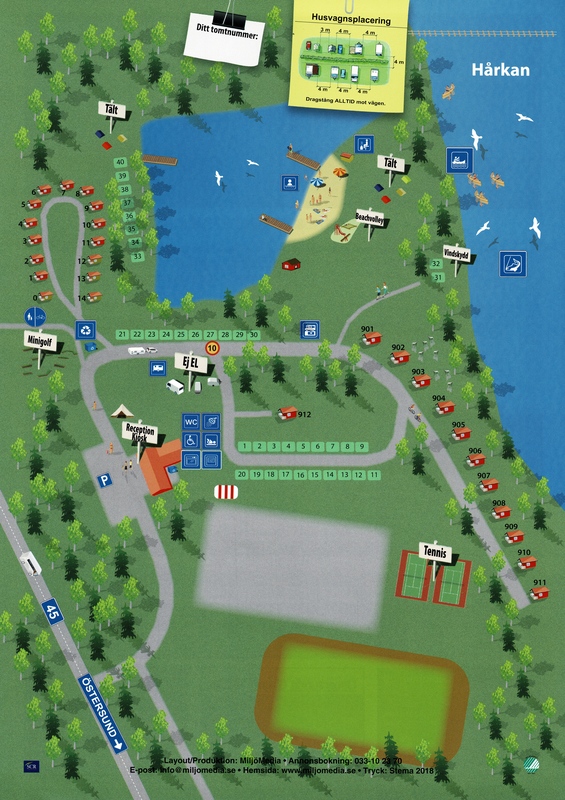 We have 50 electricity spots for caravans/campers and plenty of space to put up your tent. We are often praised for our fine surroundings and we have many returning guests. If you like you can put up your tent next to the river Hårkan which floats by the campsite. With the exception of Storsjöcupen, we usually don’t reserve electricity spots. Pick the spot you like – first come first served. Feel free to consult the overview map. Included in the price is access to the showers, toilets and kitchen in our service building. There you can also find the laundry room, empty your latrine and/or refill your water supply. We also offer free wifi at the campsite.